The cast of Theatre Corrobora’s Rejection. 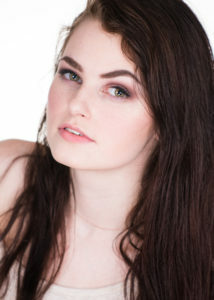 Aidan Jhane Gallivan is the executive director of Theatre Corrobora. 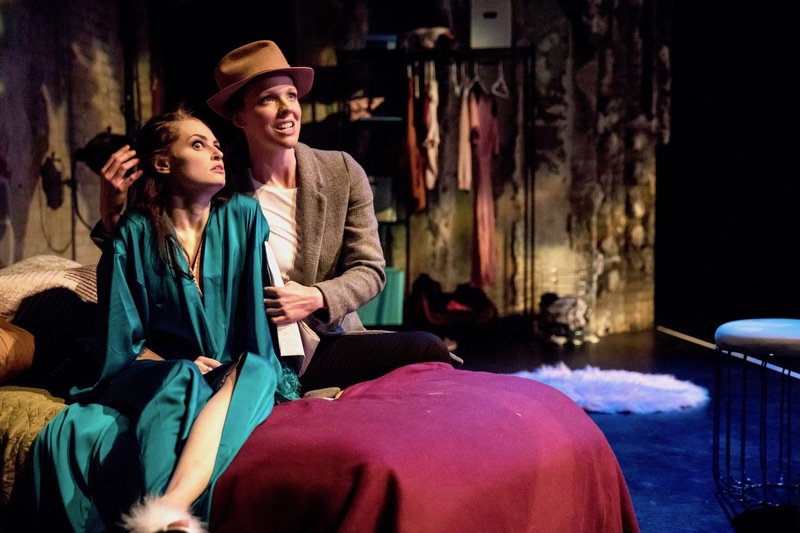 The company’s premiere of It Always Rained in Paris earned the Arts Reader‘s highest award, the Editor’s Pick, at the 2016 Minnesota Fringe Festival. Earlier this year, it staged The Critic and the Drama Queen, a new play by It Always Rained in Paris author Hailey Colwell. Now, Theatre Corrobora returns to the Fringe with Cowell’s latest play, Rejection; Gallivan returns as producer and director. She spoke with the Arts Reader‘s Basil Considine about her theatrical work and bringing Rejection to life. When did you do your first professional show (however you define that) in the Twin Cities? I’m one of those that has a hard time with the “professional” label, especially in this town. I’ve been onstage in some capacity for about 10 years now, and I am very much a product of my environment. I grew up attending camps and classes at CTC and The Guthrie, eventually graduating to Penumbra and Park Square education programs. I got my first taste of producing in high school and I’ve never looked back. New work and re-visited American classics are my two biggest theatrical passions, and I’ve been really fortunate to be able explore that at places like at Theatre in the Round and Sheep Theatre, as well as with my own company, Theatre Corrobora. I first attended Fringe in 2012 – Hailey and I went to see a former teacher of ours from elementary school perform. The next year, we submitted for a slot and got in off the waitlist in late June. We produced an extended version of Hailey Colwell’s The Critic and the Concubine – a script that we had developed and performed our senior year of high school. The Critic and the Concubine follows a 1950s movie critic who writes a bad review of an actress he once loved. She doesn’t care much for that, and returns to his office multiple times in an attempt to prove him wrong about her talent and her value as an artist. Oh, boy, did that show teach us some lessons! I’ve been at Fringe ever since, and this is our 5th time producing for Fringe as a company. 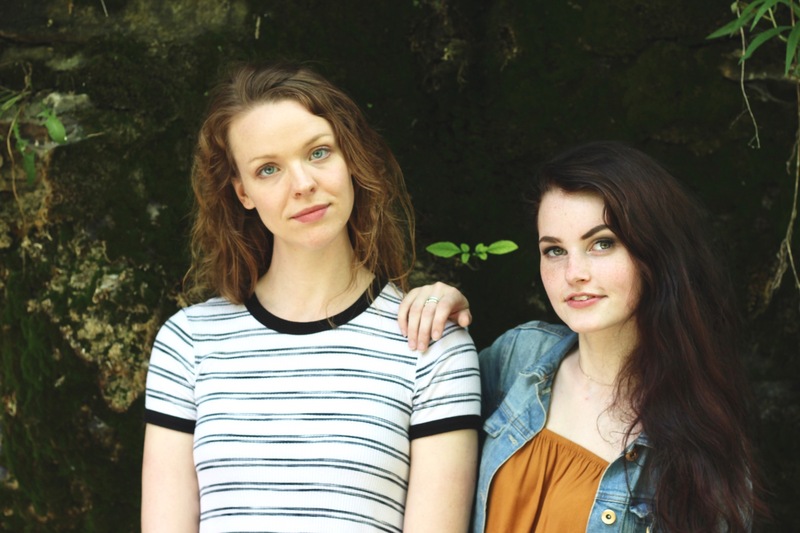 Aidan Jhane Gallivan (left) and Hailey Colwell in Theatre Corrobora’s 2017 production of The Critic and the Drama Queen, a spiritual successor to their earlier production The Critic and the Concubine. Photo by Dan Norman. You’ve worn acting, producing, and directing hats – is there one of those that you prioritize, or a synthesis between them that you’re trying to keep going? I can’t say that I prioritize one over any of the others, but I can say for certain that the experience I’ve gained as a producer and a director informs how I do my job as an actor, and vice versa. As an actor, you’re being hired to have a very singular focus – on your character and their journey within the story. As a director and producer, your vision has to be much more broad. Neither of those things are negative. As a director, I can’t assume that my actors can see from my perspective – and as an actor, I know that it is my responsibly to clarify things that my director may not have eyes on in that moment. Perspective is everything, and I find that a combination of those responsibilities can satisfy all my creative needs. You’ve produced and directed a number of Hailey Colwell’s plays – when and how did you decide to do Rejection? Rejection came to us the best way: organically. We had some initial plans to do something else for Fringe when Hailey got the silly idea to go on a few Tinder dates. I got an email about 3 weeks after that with a full first draft of would later become Rejection. Premiering a new play as the director is sometimes hands-off and sometimes hands-on. How has the script evolved since you first saw it to the version currently been used in rehearsals? How do you prefer to work with a playwright on a premiere? This will be the 7th show that we’ve created and produced as a team, and I think the most important thing is at base level is trust and respect for the work. The script at it’s earliest draft was very cinematic, but there were moments that she had specifically written in some stage directions that were very intriguing to me theatrically, and so my initial contribution was the push to lean into those moments. I wanted to explore what made the story stage-worthy. The cast has also been instrumental in developing the script; they have created real people with real problems and shades of depth from the character sketches. After the final draft is complete and everyone is happy, we pass the baton and I pretty much take over from there to build the show visually. Playwright Hailey Colwell (left) and producer/director Aidan Jhane Gallivan. What was the casting process like for this show? We decided early on that we wanted to audition this show out, since it had been awhile since we hosted full auditions. We called for actors in their twenties and received over 70 responses. We have such an abundance of young talent in town and not so many places to work together, so it was really exciting to be able to hand pick a perfect group from so many incredible options. There are a few familiar faces, some people we’ve been dying to work with, and a few brand new friends. Honestly, we probably could’ve cast a group of 30 if we had enough characters or stage time…but we met several people in the audition process that we have eyes on for future projects! What’s a favorite aspect of Rejection? The show makes a strong case about the importance honesty in personal relationships, and you can’t help but take a look at your own. (Several of our ensemble members are having similar experiences.) I feel like I know versions of each of these characters in my real life, and I feel at times I’ve been each of these characters as well. 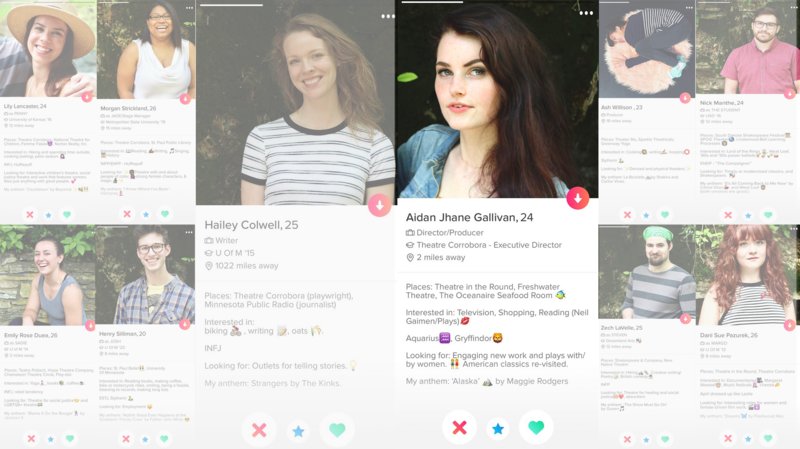 A collage of dating app-inspired cast bios for Theatre Corrobora’s Rejection. You’ve gone with an interesting visual theme for your cast bios on the Fringe website – what led to this decision? Thanks for noticing! I’m always on the lookout for ways to add something fun and unexpected. It’s a bit of a play on some of the themes in the show, and generally I think people are just more conditioned to respond to image-based content. It’s also a well know fact that one of an actor’s least favorite things to do is write their bio… we tried to get creative to make it less of a headache! As a director in a city with quickly climbing real estate values, rehearsal space is sometimes hard to come by. Where have you been rehearsing and why? We’ve been pretty fortunate to have some rehearsal space available in the apartment building where I live. However, we have mostly been rocking the apartment or outdoor rehearsal life. The benefits here are pretty obvious: it’s very convenient for me, it’s a pretty central location for our cast, and it’s freeeee!!! But honestly, where there’s a will, theres a way. I’m a little more concerned about the fact that we’re losing small-venue performances spaces at such an alarming rate. I’m really hoping to see more established theatre’s taking emerging groups under their wings and into their spaces. What’s filled your creative year so far? What’s coming up for you after Fringe? I’m trying this new thing where I go to (at least) one audition a month…so we’ll see if I can finish out the year strong with that. I did a show with Wildwood Theatre and designed a minotaur head for Sheep Theatre in the spring.